How we’re spending our leisure time. Everyone has a bit of quiet downtime once in a while. Whether you’re sitting quietly at home or trying to relax on a plane or just giving your busy mind and hands a break, it’s important to relax. A good way to do that is to read a book, listen to some music or watch a movie or show. See what’s caught our attention for the week of June 2nd. I think I’ve recommended the 30 for 30 podcast before, but I just binged through Season 3 on a recent flight and I highly recommend it. The five-part audio documentary examines Bikram Choudhury, an Indian yoga teacher who brought his brand of “Bikram hot yoga” to America in the 1970s and made millions offering grueling nine-week training session to impassioned devotees. I remember checking out a hot yoga class for the first time and hearing the instructors preaching about the brilliant Bikram and his teachings. It all felt a bit too “cult of personality” to me and I definitely felt some creepy vibes — sadly, the podcast confirms my suspicions. It’s a finely produced podcast that had me engaged throughout, and you can enjoy it with or without having practised yoga before. After a lot of nagging from one of my friends, I decided to pick up Call of Duty: Black Ops III Zombie Chronicles this past week when it was on sale for about $20. I don’t plan on touching the campaign and can already tell I’m not a fan of the multiplayer, but the remastered Zombies maps from the older Black Ops games are phenomenal. Reliving the claustrophobic bunker of Nacht der Untoten and rocking out to the hidden song in Kino Der Toten while running away from Hell Hounds in their remastered glory has been loads of fun, and it’s been exciting to check out maps like Moon and Origins that I previously missed out on. 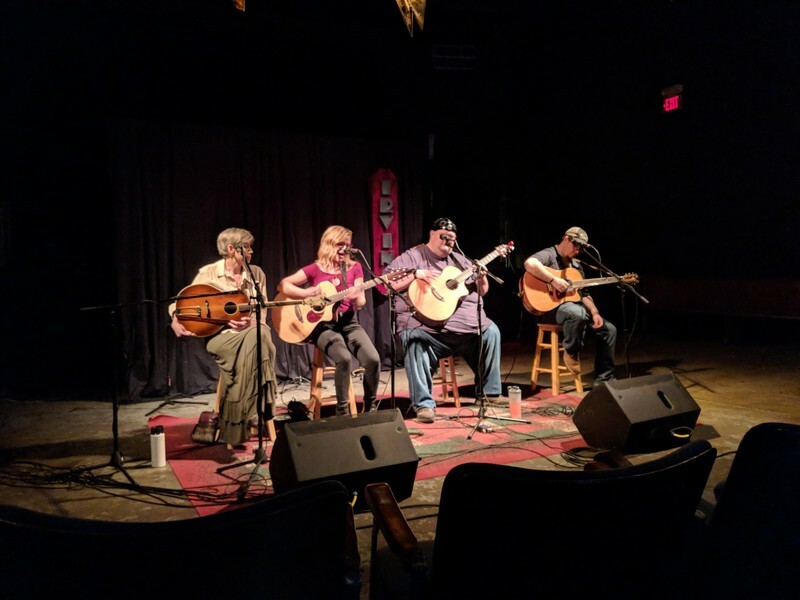 One really cool thing I did last week was attend a songwriter’s circle at the Irving Theater in Indianapolis. At first, I thought it would be a chance for me to try out some of the songs I’ve written, but I was incorrect. Instead, it was something even cooler: four local musicians came and took turns singing and telling stories. 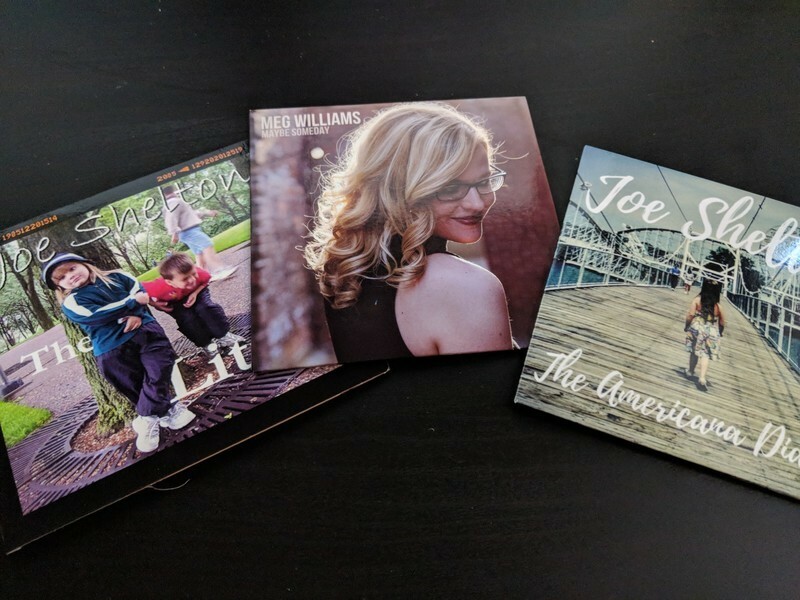 I bought CDs from Meg Williams and Joe Shelton. If you’re interested in country music at all (or even if you just have an hour to kill), give them both a listen. Elsewhere, I finished watching Frasier, and I’m glad the last season was just as good as the first ten. Instead of working through other Netflix series, I’m going to spend some time with my Plex library, namely Static Shock since the final DVD of that series was just released. When I’m through with that, I’ll probably start the latest season of Unbreakable Kimmy Schmidt. We’re less than two weeks out from the 2018 FIFA World Cup, and that means I’m deep into a depression surrounding the United States not being in the tournament. But that doesn’t mean I won’t be watching — oh no, I’ll be catching as many games as possible through late June and July. 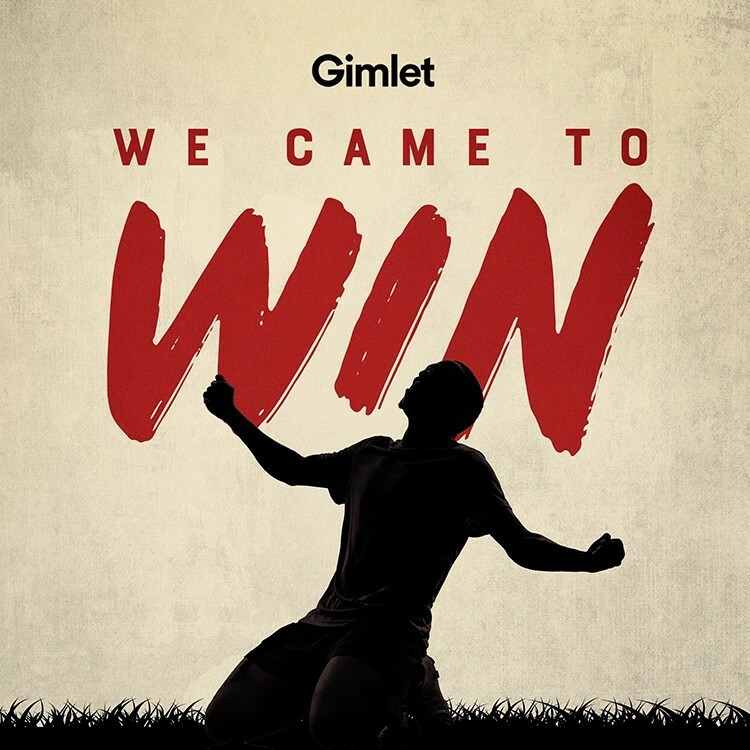 In the tune-up for the tournament, I found a great podcast from Gimlet Media called “We Came to Win”. It’s a podcast series all about telling the greatest stories of the World Cup, across multiple countries and various decades of the competition. Each episode is a different story following a certain team, match, person or storyline, and ranges from 20 to 50 minutes. You can pick up just an episode here or there, or jam through the current list of eight episodes available — they’re releasing a new one each Wednesday. The show is available on the Gimlet website but also in the Pocket Casts app. If you’re a fan of soccer, you’ll want to give it a try while we get ready for the World Cup to kick off. This week is crazy busy for me. Between all the writing and filming I have to do, I’ve been trying to get back to my roots and reconnect with the things I’ve loved since childhood. So, this week I’ll be reading the first Harry Potter book, Harry Potter and the Sorcerer’s Stone. Which, awesomely enough, is actually available for free on Amazon if you have Prime. I remember picking it up for the first time in my elementary school library and haven’t touched it since. I’m excited to read it again, as an adult, and see if I have any different opinions or notice anything I may not have before. Real talk for a minute. I’m not someone who complains that the “movies don’t stick to the books” or “how dare they mess up one tiny detail to the story” unless it’s major. But let me tell you how heartbroken my younger self was when it came to watching the Goblet of Fire in theaters and they didn’t include the House Elf Kitchen. It was, for some reason, my favorite part of the book. I just wanted to see the gang tickle a painting of a pear until it laughed so hard it opened into a door that lead to the kitchen. Alright, rant over. I’m going to get back to my books and music now. Have a good week! 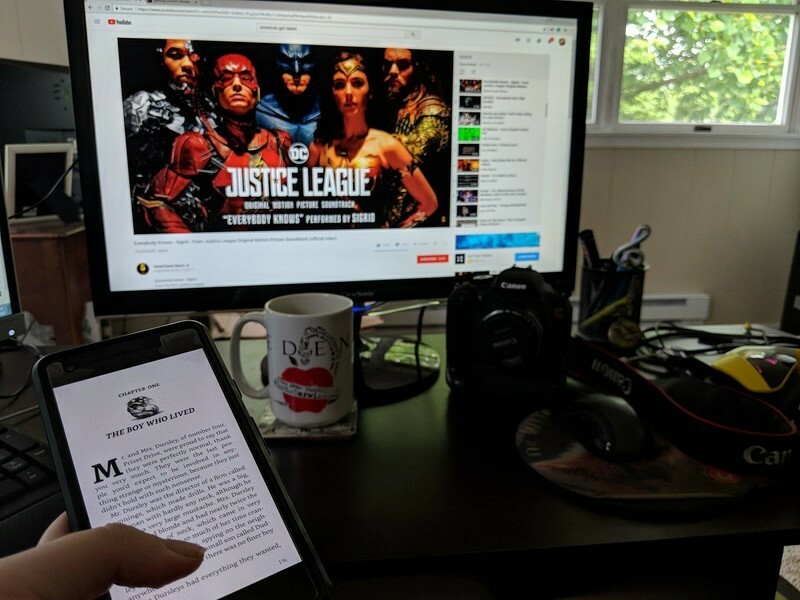 What are YOU reading, watching, or listening to this week? Let us know in the comments! Update, June 2, 2018: This is a weekly series where we tell you what we’re into, so check back every weekend!